The East running Service Road of Ring Road in Kanakadasanagar near Sa.Ra. Convention Hall has been turned into a parking lane for damaged cars that need to be tended by a car service shop. 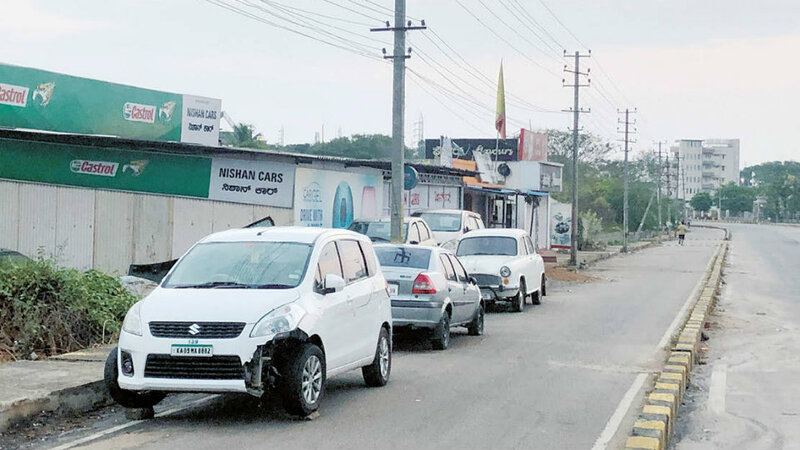 Apart from the Service Roads on this stretch gaping with open manholes and water drains, these types of encroachments are diminishing the usage of Service Roads by motorists. Will the authorities concerned look into this?